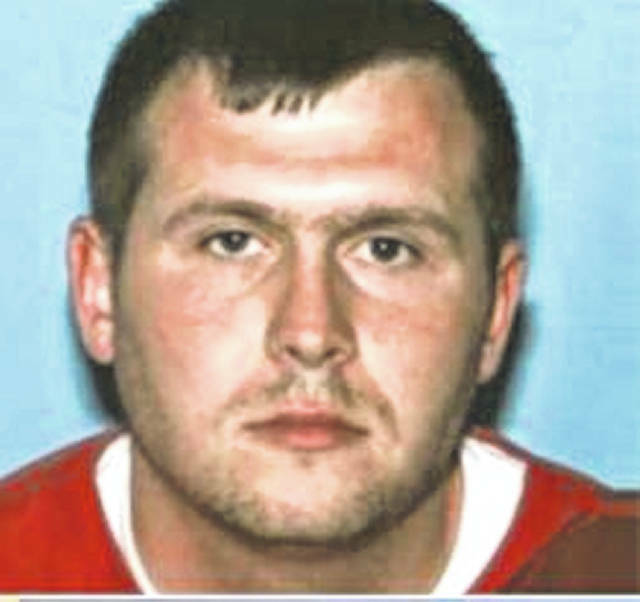 MASON COUNTY — Troopers are looking for a Fraziers Bottom man following a series of reported crimes over the weekend. According to Sgt. Joe Finnicum with the Mason County Detachment of the West Virginia State Police, a trooper attempted to initiate a traffic stop with Bernard Dean Legg, II, 30, for an expired sticker along W.Va. 2 on the southern end of Mason County Saturday afternoon. The trooper continued to follow Legg who turned on to Millstone Road near Apple Grove. Though the trooper lost Legg for a short time, when he caught up to the vehicle Legg was allegedly driving, it had been wrecked after reportedly flipping several times with other passengers and a dog inside. Legg is believed to have fled the scene on foot. While the passengers were not seriously hurt, according to Finnicum, a dog believed to be inside the vehicle was killed as a result of the crash. After Legg fled the scene, he allegedly broke into a residence on Millstone Road where he reportedly stole a shotgun, according to troopers. He then confronted the homeowner, who did not know Legg, and demanded the homeowner give him the keys to a 2013 Dodge Dart sitting outside, also according to troopers. Following the alleged theft of the Dodge Dart, Legg was reportedly traveling on Duncan Creek Road when a Mason County Sheriff’s Deputy was traveling in the opposite direction. Legg allegedly hit the deputy’s cruiser, disabling it and continued driving. The deputy was reportedly not seriously injured. On Sunday, the Dodge Dart was found in the Henderson area while a 2014 Black Chevy Silverado with a lift kit also went missing from the area. Troopers believe the theft of the pickup could be connected in the incidents with Legg. The vehicle has West Virginia tags DUV688. Finnicum said Legg has active warrants in Putnam County. Legg’s whereabouts were unknown as of press time Monday evening. Those who have any information on his whereabouts should call Mason County 911. Beth Sergent is editor of Ohio Valley Publishing.